A nice make-up artist called Sophie did my face for that weddings video I shot the other day. And while she was doing my face, I was moaning (as usual) about how dry my skin is. ‘Try this,’ said Sophie, handing me a little green tube of something called ‘Skin Food’. It is a thick, sticky cream made by a homeopathic Swiss brand called Weleda and a bit like Elizabeth Arden Eight Hour Cream in that you can stick it anywhere – on your face, on dry elbows, hands, lips etc etc. Multipurpose. According to Sophie, it’s a miracle product. I am generally skeptical about so-called ‘miracle’ products. Are they actually miraculous? Are they going to remove every line on my ravaged forehead and make me look five-years-old again? Alas not, so my forehead remains an arid wasteland. If you look very closely at it, under a microscope, I suspect you’d see very tiny camels being led across my forehead by very tiny men in white robes. But I remain optimistic. In my bedroom, there is a chest of drawers that is covered with – no joke – circa 100 bottles, pots, vials, tubes and tubs of creams, ointments, serums, toners and so on. My bathroom cupboard has four big plastic boxes overflowing with yet more bottles and tubes. I could start my own pharmaceuticals company except then I’d need to actually understand the difference between a BB cream and a CC cream. 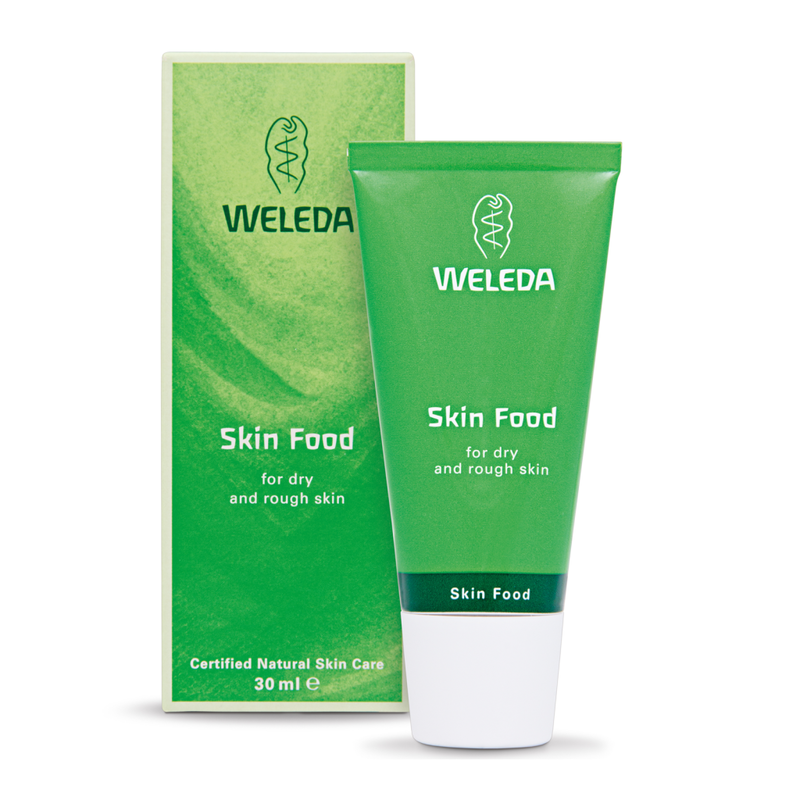 The point of this all is to say that Weleda’s Skin Food is really rather excellent. I have been living on an airplane recently and covering my face with it. It leaves you looking quite shiny, so I don’t advocate slapping it on and then heading out to a party. But if you use it as a thick night cream or use small dabs on specific dry patches (like foreheads), it does leave it softer and looking much happier. Smoother. Less parched. And the absolute best thing of all is that a fairly large tube is only 11 squids. £11! Which is something of a miracle itself considering that certain face creams cost northwards of a million pounds these days.